Volunteers of America embodies President Lincoln’s promise to care for those “who shall have born the battle.” Currently, there are 18.2 million veterans in the United States according to the latest statistics from the U.S. Census Bureau. According to the 2018 Annual Homeless Assessment Report, 37,878 veterans experience homelessness each evening. Ninety percent of those experiencing homelessness are men, with an increasing number of women with children now experiencing homelessness. We proudly serve 40,000 veterans with support services and affordable housing annually, including over 10,000 homeless veterans. More than 50 percent of veterans who live in our transitional housing for six months achieve our target outcome of stable, adequate permanent housing, and half of those are still in permanent housing after 12 months. Volunteers of America is committed to promoting the well-being of all veterans and their families, whether they are newly transitioning from military to civilian life or have long been returned but are struggling with homelessness, unemployment, mental health and substance use challenges, suicide risks, and the effects of traumatic brain injury (TBI) and sexual trauma. Every veteran deserves dignity and respect. Our services, from housing and employment support to mental health care, help veterans overcome the barriers that stand between them and long-term stability. Through prevention, rapid rehousing, interim housing, transitional housing, permanent housing, job training and compensated work programs, we make it possible for veterans to have a roof over their heads and the professional opportunities they deserve. Our housing units provide case management services for veterans and families and many of our offices support outreach centers where veterans can receive treatment for Post-Traumatic Stress Disorder (PTSD), traumatic brain injuries and addictions. We ensure veterans connect to the benefits they are entitled to, and we make use of the strong bonds forged between veterans by incorporating mentoring and peer-to-peer support. We also provide employment services that include assessment, training and placement. Compensated work programs offer a stipend while training veterans for a new career, and help is available with everything from resume preparation to job interviewing, clothing and transportation. Finding work is an important part of building back confidence and pride and sustaining independence. Volunteers of America’s moral injury repair initiatives have increased our capacity to serve veterans in crisis and at risk of suicide. 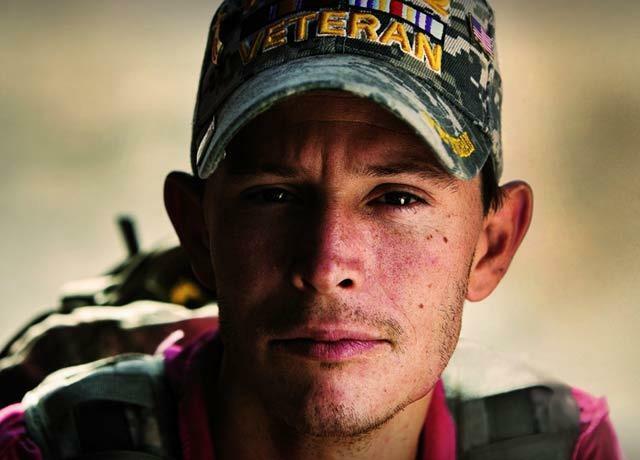 Engaging staff who are veterans and who are certified mental health specialists (via certification as Veteran Peer Support Specialists, a recognized mental health specialty), our training programs offer critical skills to strengthen veterans against the challenges they face. "Thank you for seeing me as a veteran and not a homeless man." To see if any of our local offices offer veteran services in your area, use our zip code search to find an office near you.